The Vision Federal Market Forecast Conference, presented by PSC, was a fantastic gathering of industry and government executives. View some highlights below. View the full album on the PSC Facebook page. The Defense Department has sent cyber personnel to work with the Department of Homeland Security ahead of midterm voting in an effort to prevent or respond to election hacking attempts. DoD personnel arrived at DHS Oct. 31 "to conduct familiarization and situational awareness" of policies, practices and procedures with DHS' cybersecurity unit, the National Protection and Programs Directorate National Cybersecurity & Communications Integration Center, or NCCIC, a DHS official said. The results of the Pentagon’s first-ever audit could generate public backlash against boosting defense spending, according to Comptroller David Norquist. “I hope people understand, when you’re the team that said `hey, we’re going to go look, it’s because of our commitment to being good stewards,’” Norquist said Oct. 29 at the Professional Services Council federal budget outlook conference. Read more. The defense industry might be too cautious to fully take advantage of the improving budget environment, Pierre Chao said today. Speaking at a Professional Services Council conference, Chao, founding partner at Renaissance Strategic Advisors, said the industry may be too skeptical about the budget boost to prepare for it. The reports from the Defense Department’s first-ever audit don’t go to the Office of Management and Budget for another two weeks, but DoD is already seeing some benefits. DoD Comptroller David Norquist said the audit forced the department to embrace data analytics on a more granular level, and that’s enabling better decision-making. The amount of things you can do with transaction level data really changes the type of business intelligence you can use,” Norquist told a room full of industry executives at an Oct. 29 Professional Services Council event. The Professional Services Council (PSC) released a five-year trend forecast for the Federal IT market that sees IT budget increases at defense agencies and points to the Technology Business Management (TBM) IT taxonomy and the FITARA scorecard as major IT management influencers. The forecast, presented at the PSC Vision Federal Market Forecast Conference on Monday, predicts that while the entire civilian Federal IT budget will keep pace with discretionary spending and grow with inflation, the defense IT budget will outpace that growth rate based on 9 percent growth rate from FY2017 to FY2019. The Department of Homeland Security will likely use the General Services Administration’s $50 billion governmentwide telecommunications contract vehicle to update its own network backbone, according to a forecast from the Professional Services Council. In an Oct. 30 presentation, PSC's industry experts said that a 15-year, $80 million follow-on to the OneNet contract was in the offing, with a solicitation expected in the second quarter of 2020. Read more. Alan Chvotkin, an executive vice president and counsel at the Professional Services Council, has said information technology modernization, cybersecurity and the cross-agency goals in the President’s Management Agenda will help drive federal acquisition in the coming year, Federal News Network reported Monday. “There is no doubt increased focus on IT. Cybersecurity is clearly a high risk and high spend area so we think there will be a lot of business opportunities,” Chvotkin said. Are We Approaching the End of the Line for Market Consolidation? Merger-and-acquisition activity in the government technology and professional services market has certainly become a fact of life this year, even as deal volume so far for 2018 is down from last year. But the raw number of deals tells one side of the story. Government services transactions totaling $100 million in enterprise value stand at 14 for this year so far versus 20 last year, but a total value of $16 billion in transactions have taken place this year compared to $11 billion last year, according to a presentation given at the Professional Services Council’s Vision conference Tuesday. Analysts are watching the growth of procurements under Other Transaction Authorities at federal agencies. Such buys are up 270 percent in the past year, according to data presented at an Oct. 29 Professional Services Council event. OTAs allow federal agencies and the Defense Department to streamline procedures to quickly acquire cutting edge technologies or prototypes. Senior acquisition official says DOD working on new rapid prototyping oversight structure Congress has given the military a new tool to sidestep traditional acquisition system requirements while rapidly prototyping and fielding promising technologies, but the Defense Department is still wrestling with how best to manage the new authority, according to Assistant Secretary of Defense for Acquisition Kevin Fahey, speaking recently at a Professional Services Council conference. OTA spending by the Defense Department is growing by triple digit rates, although it’s still a relatively small number. But it worries contractors. It came up repeatedly at the Professional Services Council’s Vision 2018 conference. Defense Department Comptroller David Norquist recently emphasized the significance of the on-going $1B DoD-wide audit, describing the effort as a service to taxpayers. 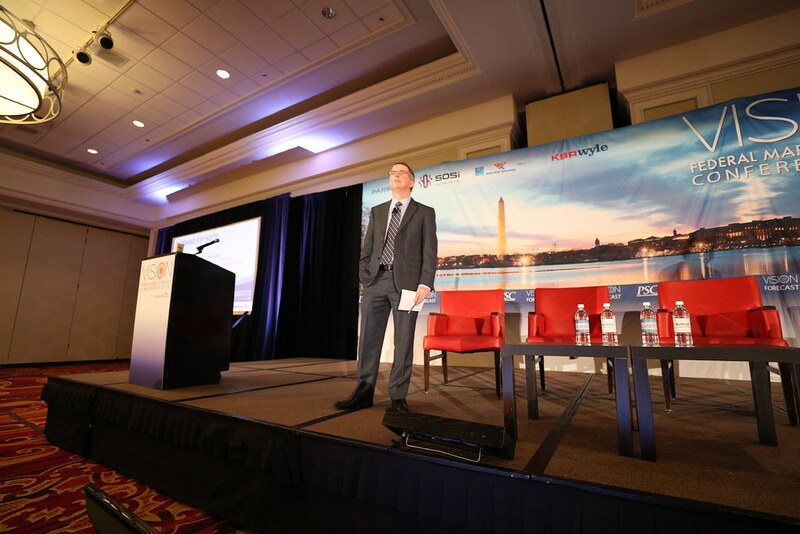 Speaking at PSC’s 54th annual Vision Federal Market Forecast conference, Norquist said he was less concerned by the bad publicity that the audit might bring on and was concerned more about the possibility that people might misinterpret the audit’s results. With the defense budget enhanced and set for fiscal 2019, contractors should “enjoy the moment,” Pentagon Comptroller David Norquist told an industry audience on Monday. In processing the newly augmented $700 billion spend that Congress delivered before the start of the fiscal year, many on his finance staff had no recollection, he said, of a time decades ago when the military wasn’t always coping with the uncertainty of multiple continuing resolutions and government shutdown threats. Read more.